See it! Run, don’t walk. Sure, every college and community theatre across America has done South Pacific, but you haven’t seen it like this, and you haven’t heard it like this. 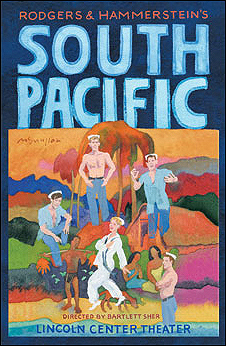 I first saw this production of South Pacific at the Vivian Beaumont Theater at Lincoln Center last season. I instantly fell in love with the current production from the moment the stage floor slid open and revealed the full orchestra beneath during the Overture. You don’t have that in this tour production, but the music still sounds fantastic, and the show looks gorgeous. Slightly scaled down from the vast Beaumont stage in NYC, the sets are faithful recreations, and it’s quite amazing how well the show fills the Wharton space. It’s all beautifully lit, and the sound design is terrific. Chalk it all up to crisp, imaginative, and slick direction by Bartlett Sher and a wonderful tour cast, led by Carmen Cusack as Nellie and Christopher Carl as Emile. The ensemble is strong, and they sound great backed by a full 25-piece orchestra. (Compare that to the normal tour orchestras that are usually 11 pieces). The message of South Pacific rings as true today as it did in 1949 — in fact, so much of this production is spot-on that it’s hard to remember this is a 61-year old show. By the time Cable and Emile fly off on their spy mission and the stage fills with strategic maps and war-room activity, the pulse starts to pound, and the tears soon start to flow. Go see this show. 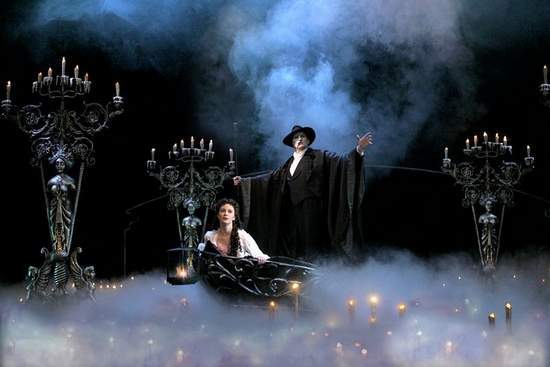 Miss it, and you will have missed one of the finest Broadway productions of the decade. Go. You will thank yourself later. Posted by ronannarbor in Entertainment, musical theater. It is what it is, and that is all that it is. 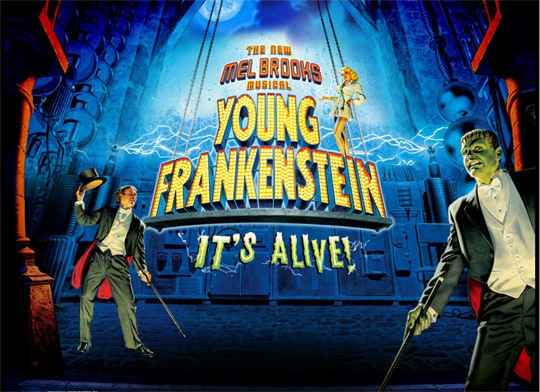 Funny and entertaining, Mel Brooks’ musical adaptation of his own movie of Young Frankenstein is now playing at the Wharton Center in East Lansing — and if you missed it here (it closes Sunday evening) it rolls into the Detroit Opera House in a couple weeks with the same cast. The show is nothing if not funny — the script is virtually intact from the movie, with more added to fill out the evening’s bawdiness. The audience just ate up the jokes, including those hidden in the clever lyrics. In places, Brooks has taken his own movie dialogue and incorporated it intact into the lyrics themselves. I didn’t get a chance to see this in New York, but I get the feeling this tour is pretty close to what audiences saw there. While the entire cast of the tour is strong, I particularly liked Cory English (Igor); Joanna Glushak (Frau Blucher); and Anne Horak (Inga). There were some sound problems throughout the evening at the Wharton Center — mic cues were late, and some garbled. Those types of problems will be less apparent in Detroit where the show settles in for a longer run and those types of technical issues can be better compensated for. Overall — I admit I had fun, but that’s about it. I wasn’t blown away by the show; I wasn’t blown away by the sets or costumes or performances. I wasn’t blown away by the script, lyrics, or score. I loved the two numbers mentioned above. Everything about this production is professional and well-done. So why wasn’t this the best thing since the invention of the zip code? First, your enjoyment of this show will go hand in hand with your enjoyment of slapstick, borscht-belt humor, and broad bawdy jokes. Similar in style and direction to The Producers, Brook’s critics-wowing audience-alienating mega-award winning hit, it’s like a Bialystock and Bloom production come to full colorful life. I didn’t like The Producers, although I was equally awed by the talent on display both performance-wise and art direction wise. So consider this more of the same…but different…but not different enough. Second, your enjoyment of this show will go hand in hand with your tolerance-level for Roger Bart. If hand-swinging, face-grimacing, all-out mugging, squeaking, and voice inflection humor are your thing, add another star to the review. Finally, your enjoyment of this show will go hand in hand with your love of the original Mel Brooks movie. Filmed in black and white with the incomparable Gene Wilder, Terri Garr, Madeline Kahn, Peter Boyle, Marty Feldman, and Cloris Leechman the movie is considered by many to be Mel Brooks at his absolute best. Adding music to the mix really does nothing more than make one long to run home and watch the movie again (which I did this morning). You’ve surely already decided if you are going to go see the show or not — so go, have fun, and laugh. It’s cold outside, a good laugh is always welcome. 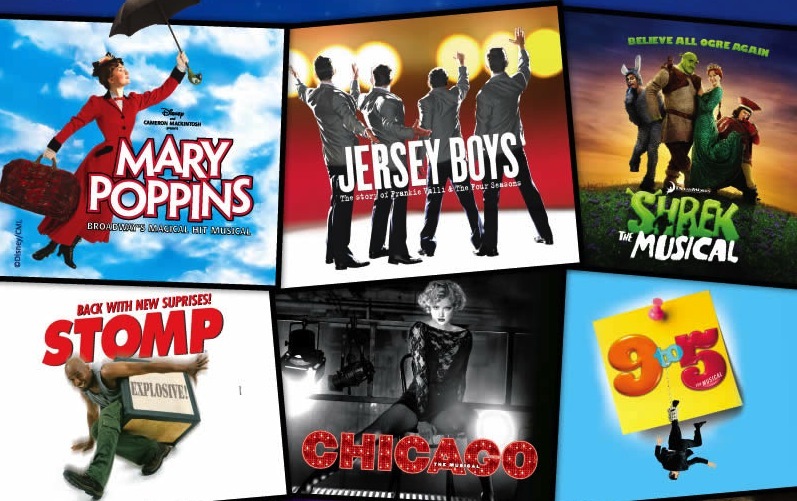 But if you are a true musical theatre lover, you might not find the show as amusing as you would hope. Frankly, I had much more fun at the hilarious “The Addams Family musical” in Chicago a few months ago.